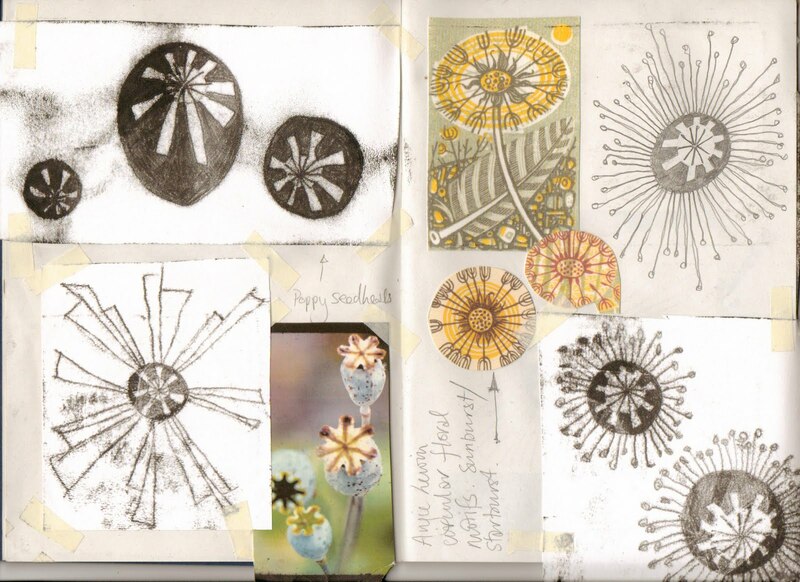 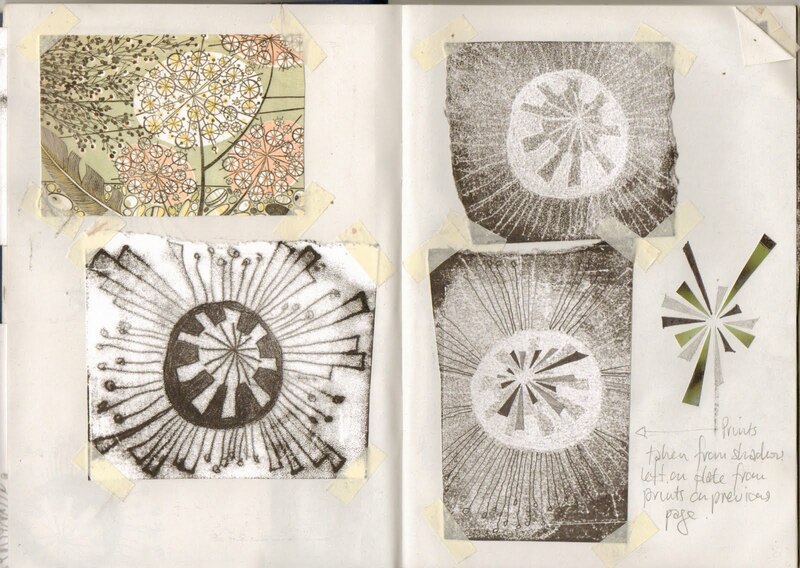 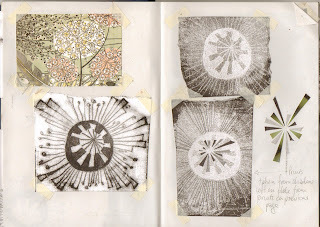 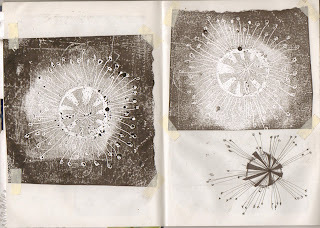 Some pages from a textile sketchbook with mixed media imagery based on natural forms using monoprint, water colour and fine liners. 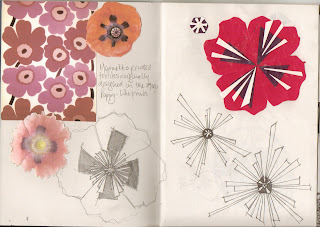 I wanted to do something that was bold like Marimekko and influenced by my synesthesia drawings. 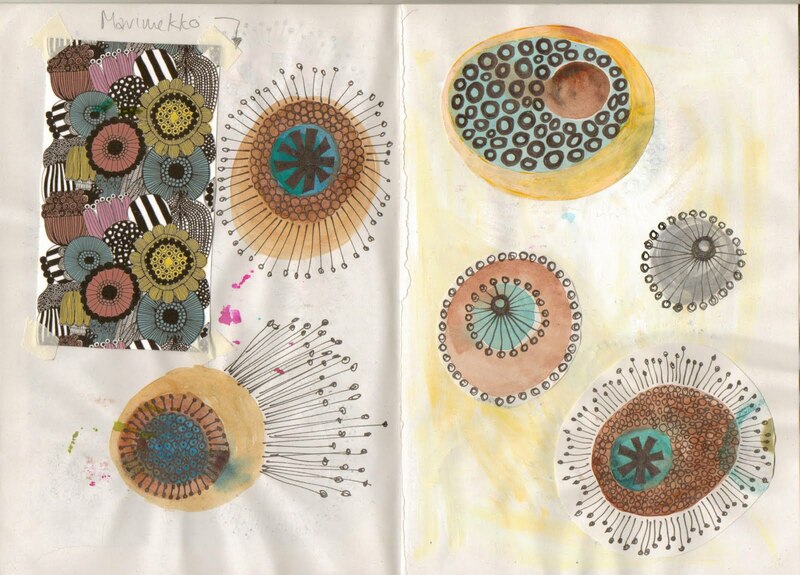 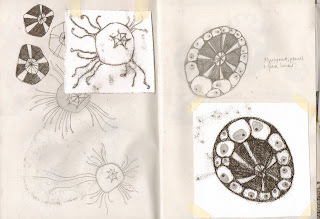 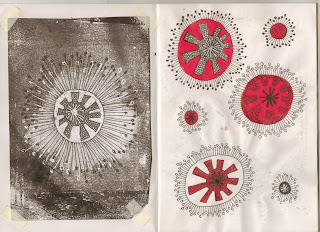 I'd like to develop these further into a combination of screen print, embroidery and applique on leather. 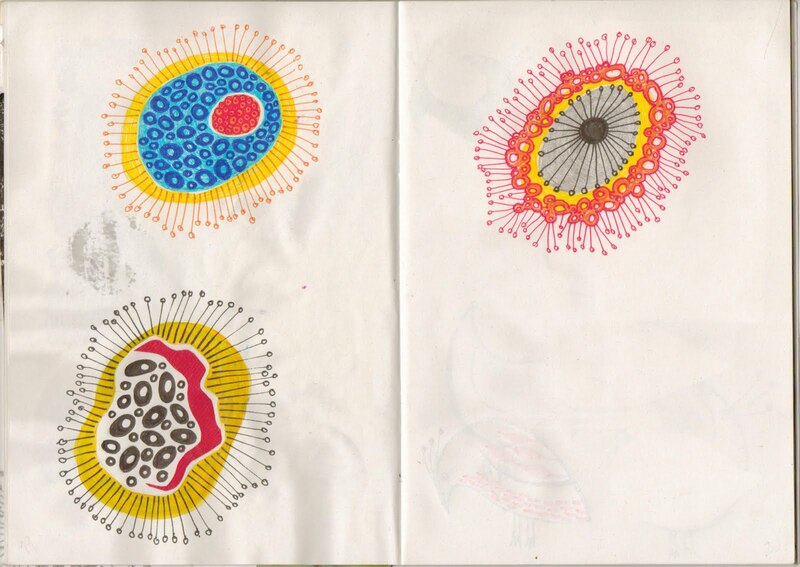 wow these are great! images 3/4/5 my favourite.